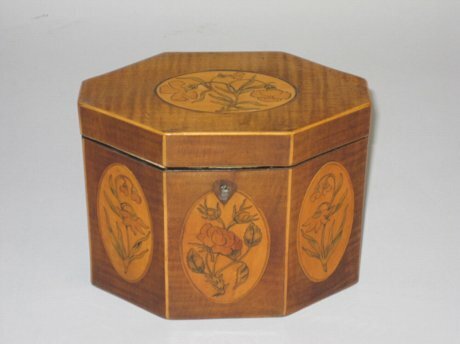 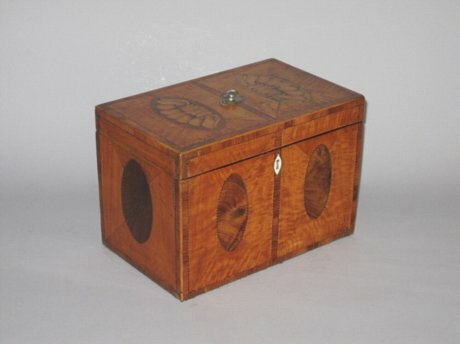 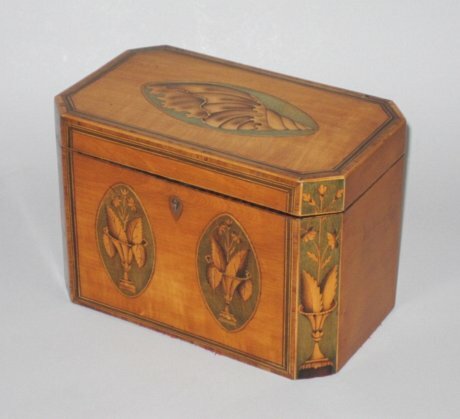 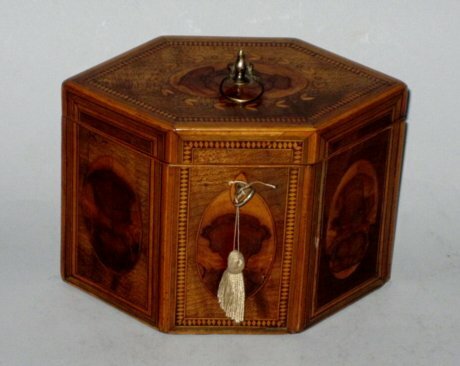 FINE SATINWOOD TEA CADDY. 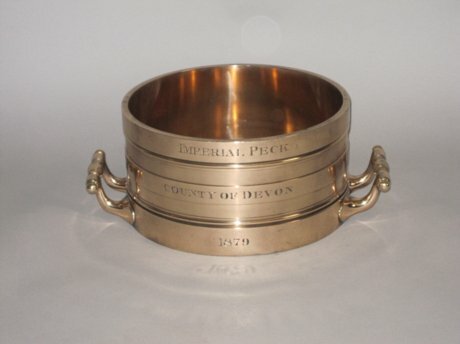 GEORGE III, CIRCA 1780. 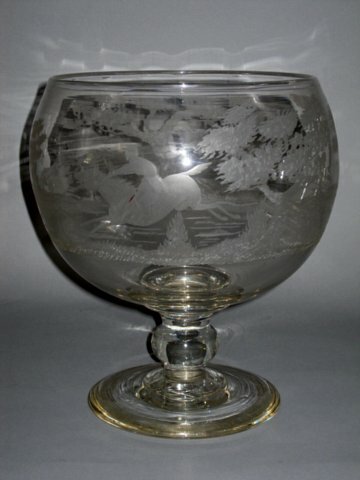 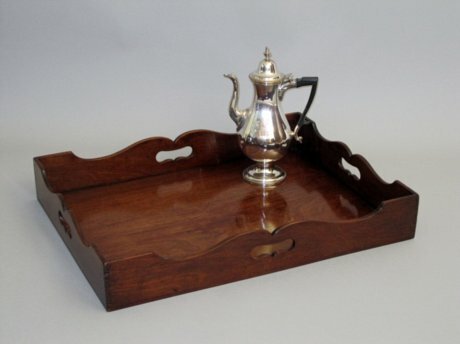 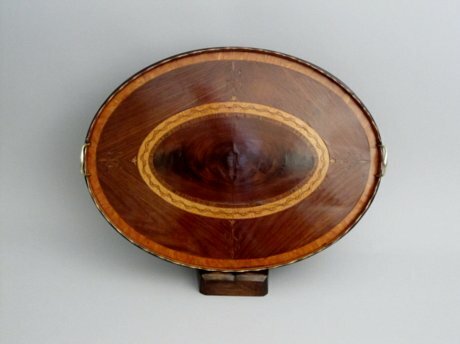 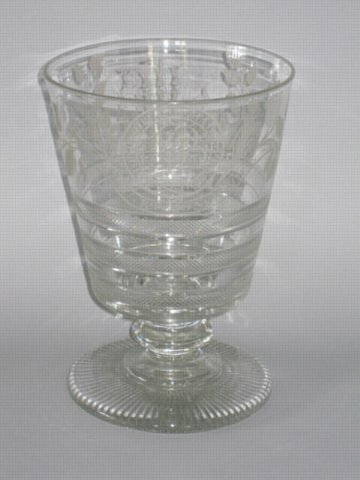 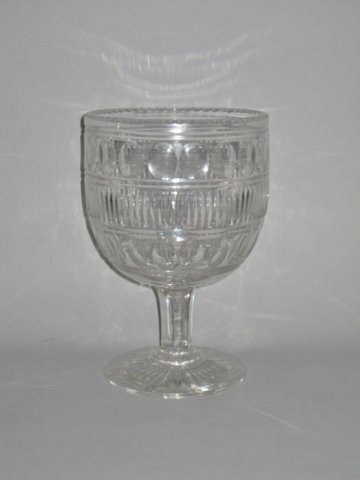 CHIPPENDALE PERIOD OVAL TRAY. 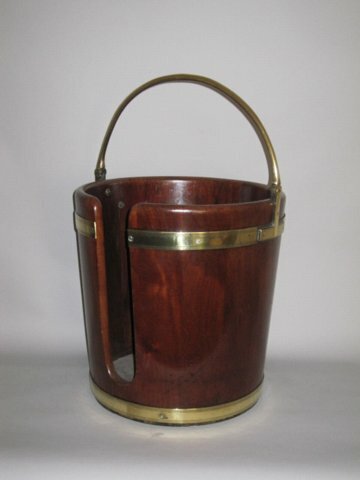 CIRCA 1775. 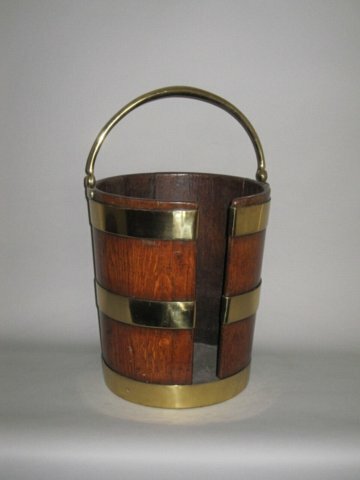 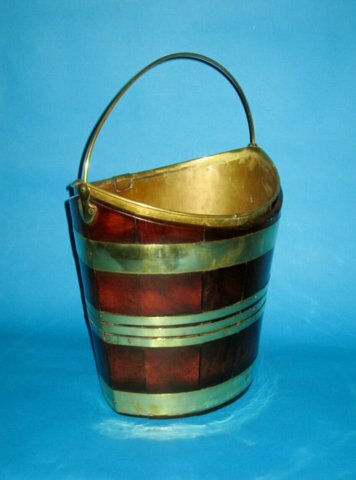 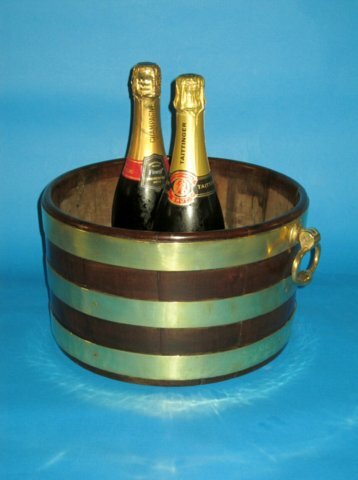 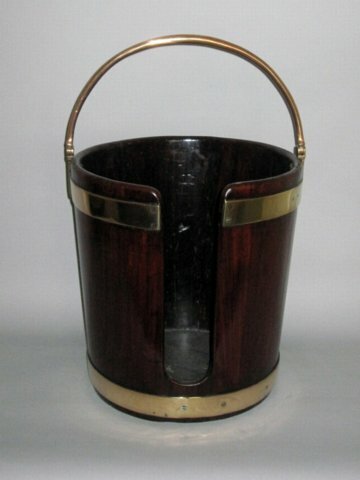 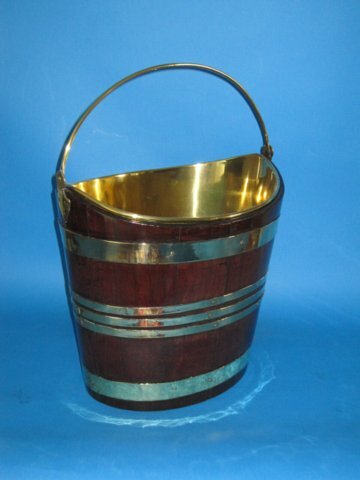 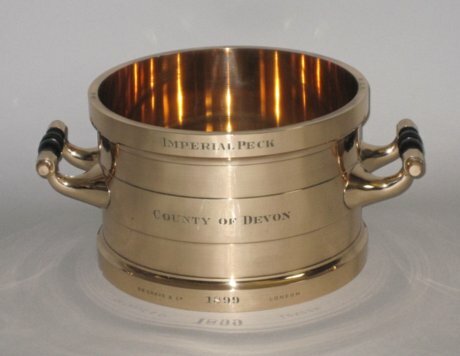 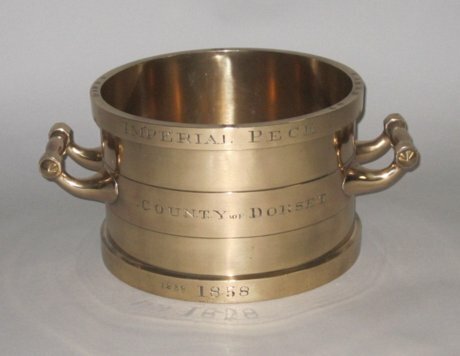 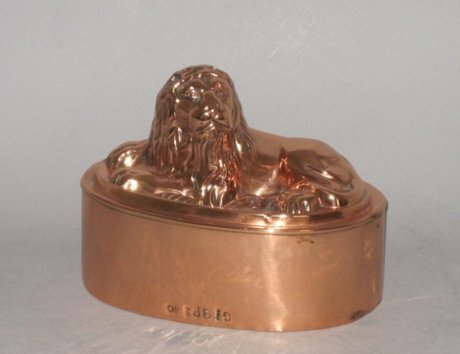 George III Mahogany & Brass Bucket, circa 1790. 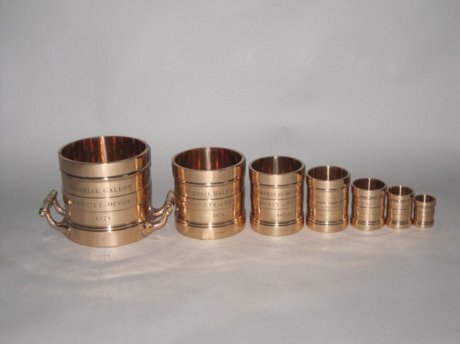 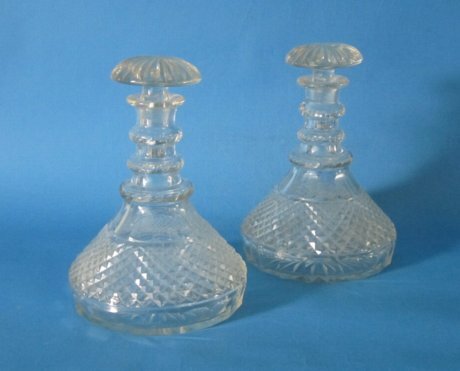 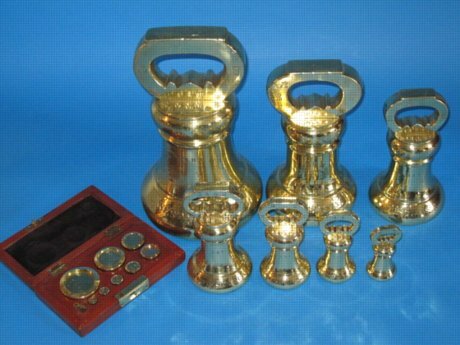 Pair Victorian Ships Decanters, circa 1890. 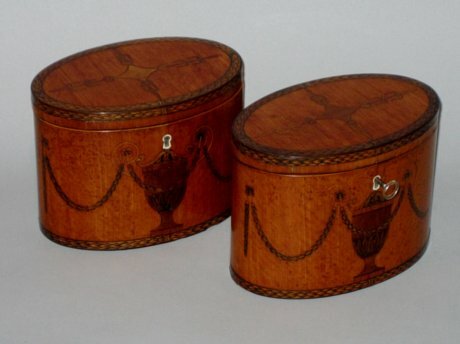 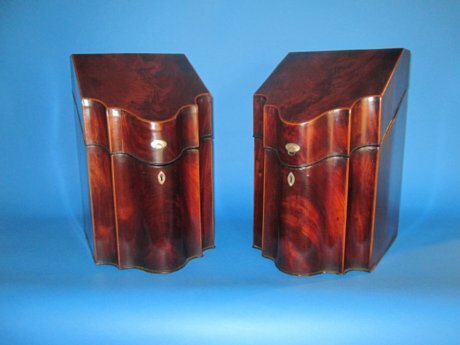 A MATCHED PAIR OF MAHOGANY PLATE BUCKETS. 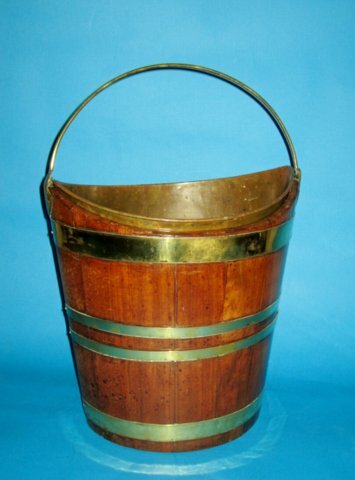 IRISH CIRCA 1800.